Raw vegan ice cream is my fave! holy cow that sounds so delicious! i love pistachio ice cream! yum! does it have a strong banana taste??? Looks amazing. I gotta buy an ice cream maker. Where do you get avocados for .88cents? That is an incredible price! Maybe you could try crushing most of the pistachios with mortar and pestle and incorporate them into the mix, and then add a half dozen or so more pistachios in at the end before it sets. 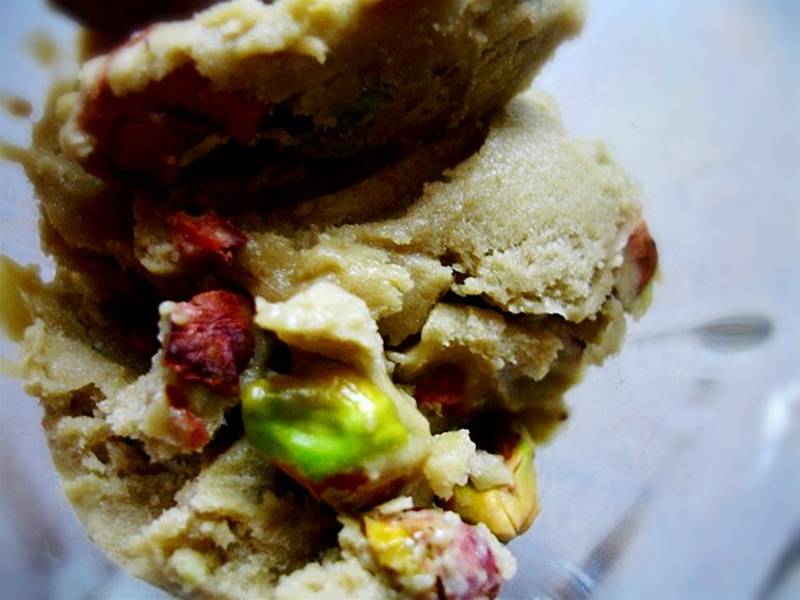 Can I use raw pistachios from the tree in this recipe? Wow nice psta escrim sangat bagus goseha.